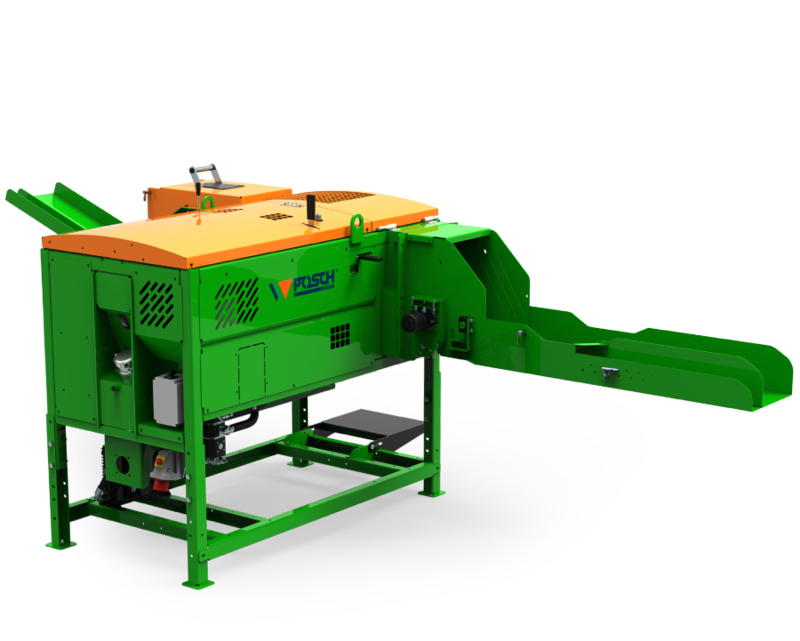 The automatic AutoSplit 350 Kindling Firewood Log Machine processes round or squared timber (softwood) into fine kindling or firewood logs, requiring only one simple alteration to the throughput speed to the machine to alter the width of the finished product. 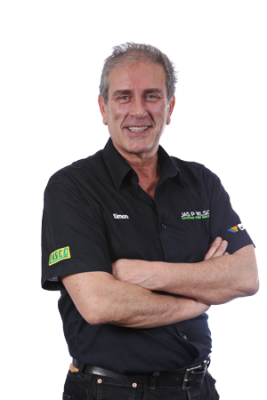 The infeed speed can be adjusted to split logs between 1-18cm wide. The robust X-shaped splitting knife provides 10t of splitting power, and works automatically once on, to repeatedly split at regular intervals. 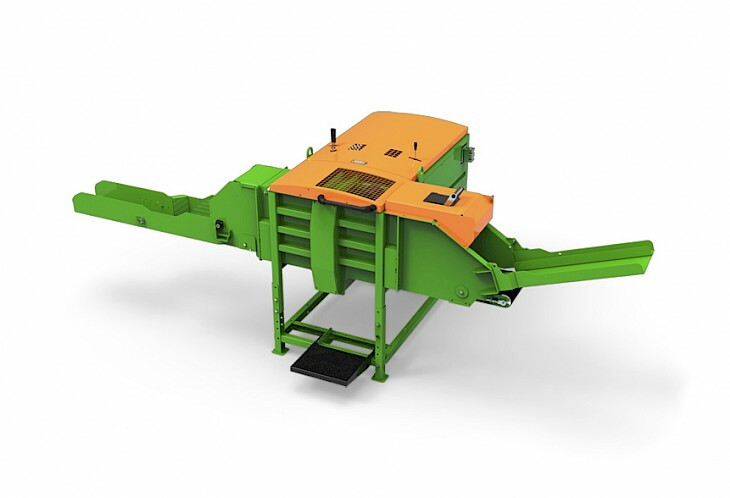 The 2.3 metre long timber supply chute ensures an optimum and continuous work flow, simply load rounds into this gravity feed chute which feed themselfs down and onto the powered infeed conveyor. This system allows one user to stock the infeed, then proceed over to begin bagging. The process of splitting can be stopped at any moment with one lever. This allows the infeed to be restocked when required. 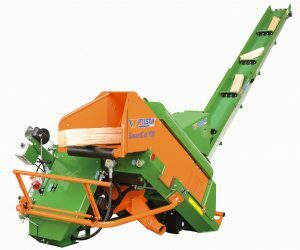 This Kindling Firewood Log Machine comes fitted with 2 outfeed options as standard, this allows the operator to choose between tight packing of net bags or loose packing. 10T splitting force, tight or loose bag, log edge width 1cm-18cm, log length 25-33cm. Each splitting cycle is approx. 3 seconds. Power options include PTO, Oil Cooled 400v (3-Phase) or Petrol.